There’s been a lot of buzz in the last day over the “news” that Apple’s iTunes sales were “plummeting“. The Register reported that iTunes sales are collapsing. Bloomberg reported that Apple’s iTunes sales are sliding. The Chicago Tribune reported that Apple’s iTunes sales took a dive. The stories are based on a Forrester report and their researcher’s comments. 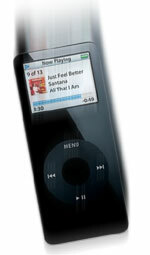 The researchers reported that iTunes sales dropped 65% between January 2006 and June 2006. Taken out of context, this sounds like a substantial decline. However, when you consider seasonal buying patterns, and the fact that the iTunes store experienced a similar decline in the same months in 2005, it’s clear that iTunes purchases surge after the holidays, and then drop back down. iPod sales spike before Christmas. After Christmas, there’s a spike in iTunes purchases, as new iPod owners try out their new devices. This is reflected in Forrester’s report, but it would be a stretch to read much more into their numbers. “The conclusion that iTunes sales are slowing is simply incorrect,” Apple said this morning in a statement. The numbers that Forrester report and their coverage in the press seem to tell us more about analysts and their biases than they do about Apple’s iTunes sales. Based on this, you could argue that iTunes sales per iPod have increased 15% in just a few months! I have nearly $100,000 in AAPL stock. Your report cost me three grand in its value yesterday. You did this. You irresponsibly published data, ignoring the fact that it was statistically insigificant. full stop. Nothing after that matters. How others interpreted that data is irrelevant. The fact that Apple doesn’t share sales figures is irrelevant. The report shouldn’t have been published in the first place. You published it. You cost me $3 grand. The next time you want to publish a report, remember this incident and make sure what you have to say is comprehensive, statistically significant, and accurate. You do more than a disservice when you fail; you destroy people’s net worth. You need to be damn sure your assertions are good if there’s a chance of impacting portfolios. Please don’t write any more reports about Apple. Apple’s iPod and iTunes sales will level off, at some point. However, there isn’t anything in Forrester’s report that shows that this is happening now.